SpaceX has successfully launched a Falcon 9 rocket last night. This launch was the third flight for a first stage of Falcon 9. This is the first time that a SpaceX booster manages to perform three missions, which gives a little more credibility to the project of massive reuse. SpaceX hopes to be able to make its boosters fly ten times. The next step will be to make the same booster fly again in less than 24 hours, so with almost zero maintenance. SpaceX has set this goal for next year, so we will see if intensive reuse will significantly reduce the costs of access to the orbit. Space Shuttle Discovery had made 39 orbital flights, but it was not cheap. Yesterday, SpaceX tried again to recover a half rocket fairing from its launcher in a net at sea. This was again a failure. The rocket fairing did soft landing in the seawater. As a consequence, it might be reused. For now, no Falcon 9 has flown more than twice. SpaceX planned to attempt a third flight of the same booster for the first time yesterday, but the launch was postponed. The company says it wants to conduct additional inspections. A new date should therefore be communicated very soon. This launch will be the 19th of the year for SpaceX. 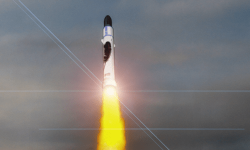 If the company manages to follow its plan, it will end the year with 22 orbital launches, which represents 4 more launches than in 2017, which was already a record year. NASA has just qualified the Falcon 9 rocket for its most important missions. Martian rovers, space telescopes and other missions from the Discovery, New Frontiers or Flagship programs will be allowed to fly aboard a Falcon 9. The Falcon 9 is therefore set to leave its mark on the history of space conquest. SpaceX has just launched its Falcon 9 Block 5 rocket for the second time. This launch was interesting for more than one reason : the launcher took a satellite of more than 7 tonnes to the geostationary transfer orbit. Despite this weight, SpaceX has managed to recover the first stage of its launcher at sea. This impressive performance is however nuanced because SpaceX and its customer Telstar have agreed on an unusual orbit. 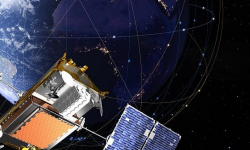 Traditionally, telecommunication satellites are launched to GTO 1500 or GTO 1800 orbits. They are not directly inserted into geostationary orbit, but into a transfer orbit. The satellite must provide the last push by its own means to reach its final orbit. Thus, a payload must provide a speed of 1500 meters per second when inserted in GTO 1500 and when inserted in GTO 1800. Last Sunday, the Falcon 9 Block 5 inserted its payload into a GTO 2278 orbit. The Telstar satellite must therefore provide a big final boost on its own. It acts almost like a third floor of the launcher. This explains its large mass of 7 tons. More than half of this mass is composed of propellants. In a way, Telstar has been creative to take advantage of the lower prices of a recovered Falcon 9. An initiative that may be followed by other satellite operators. For SpaceX, this is the first launch in the middle of the summer. The company is scheduled to make another flight tomorrow and then will launch two Falcon 9 in two days, August 2nd and August 3rd. The launch of tomorrow should also be special because SpaceX will recover the first floor but will also try to recover the rocket fairing. Several tests have already been conducted using a boat equipped with a net, Mr Steven, because the two halves of a rocket fairing have a value of $ 5 million. To increase the chances to succeed, Mr Steven was equipped with a net 4 times larger than in previous attempts. The rocket fairing falls indeed under a parachute and it is difficult to predict with great precision where it will fall. We are still waiting to know how the first two Falcon 9 Block 5s supported their return. SpaceX wants to use them to achieve up to 10 flights each with reduced maintenance. Although the company wants to focus fully on the BFR, the Falcon 9 will certainly still require a lot of attention from SpaceX before achieving these performances. In 2010, the SpaceX Falcon 9 rocket flew for the first time. In its initial version, the Falcon 9 is a medium-capacity launcher that offers nothing particularly remarkable. Yet, Elon Musk and his company repeat that the Falcon 9 will revolutionize the space launchers market. In the eight years that followed, the Falcon 9 has been much talked about. The rocket has constantly evolved to increase its performance and especially to become a partially reusable launcher. Thus, a Falcon 9 from 2018 is a rocket capable of placing twice as many payloads in orbit as a Falcon 9 from 2010. This progress was made thanks to multiple test versions and thanks to 54 test flight rockets. But this incremental development is coming to an end : SpaceX wants to give a final shape to its launcher. Last Friday, the first Falcon 9 Block 5 flew away with the first telecommunications satellite of Bangladesh. The flight went perfectly, including recovery. In a conference a few hours before the launch, Elon Musk gave some details on the new features of the Falcon 9 Block 5 : it is designed to become the safest launcher in history, which is understandable because it must carry the Dragon V2 capsule and its crew. The second stage of the rocket has therefore been modified : it is equipped with a helium reserve, used to keep propellant tanks under pressure. It was the rupture of this small helium balloon that caused the explosion of the launcher in 2016. In the Block 5 version, the tank was revised to support more than twice its operating pressure. Moreover, the rocket benefits from various improvements : the thrust of the Merlin engines of the first stage is increased by 8%. The only Merlin on the second floor is growing by 5%. The structure that keeps the nine Merlin engines on the first floor has been strengthened. Titanium railings are now part of the rocket’s reference design. These changes must make it possible to launch each Falcon 9 Block 5 at least ten times, with a minimum of maintenance. The company plans a demonstration of this capability next year : the same Falcon 9 rocket should be fired twice in less than 24 hours, so with very light maintenance. Eventually, Elon Musk is convinced that his customers will prefer to fly on used Falcon 9, and in the end the new Falcon 9 will be charged less expensive than those which have already flown, which is the opposite of the current situation. SpaceX plans to build 30 to 40 Falcon 9 Block 5 over the next 5 years to complete approximately 300 flights. After that, the BFR will be launched. The Falcon 9 Block 5 is operational for at least a few years. Although SpaceX will certainly make some minor changes to its final version, there will be no Falcon 9 Block 6. The company still hopes to further improve the thrust of its Merlin engines. Theoretically, the Falcon 9 Block 5 is expected to debut this month. It is designed to be reused ten times, with less than 48 hours delay between each flight for maintenance. The Falcon 9 Block 5 brings new features and should be the latest version of Falcon 9. We used to have novelties for every flight or almost, it’s even a bit the hallmark of SpaceX. The norm in the space sector is rather not to change anything between the major versions of a rocket. But to qualify the Falcon 9 for manned flight, NASA requires the Falcon 9 Block 5 to be launched 7 times without any modification. If this new version of the rocket does not meet SpaceX’s expectations for reuse, there will be a difficult choice to make. Either SpaceX will continue to develop its Falcon 9 until it finds the right formula for recovery. In this case the first flight of the Crew Dragon will probably be postponed for a few months or years. Either SpaceX stops the development of the Falcon 9 and remains on a fixed version as currently planned, but it is not sure that the business model of the company would survive a low reuse. The launch of the Falcon 9 Block 5 is currently scheduled for April 24, just after the launch of the TESS space telescope. On February 22, the Falcon 9 Block 3 flew away for the last time. It was the second flight for the first floor of the rocket, but it was not recovered again. From now on, all Falcon 9 launches will be Block 4 and Block 5. The Block 5 version of the rocket was also seen on a test area yesterday. It was equipped with a black inter-floor link, which is not usual on a rocket. While waiting for the launch of the Falcon 9 Block 5, SpaceX continues the experiments at almost every flight, as usual. 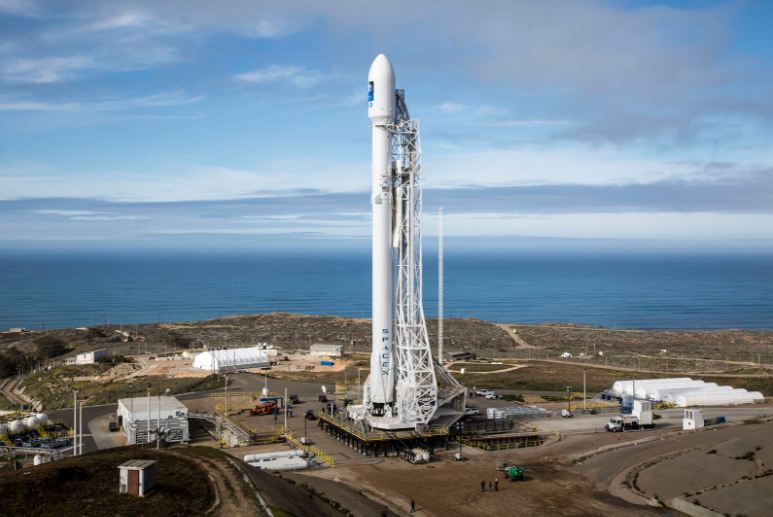 On the next flight, SpaceX will try to land the first stage of its rocket on a barge at sea, after propelling a satellite of more than 6 tons to the geostationary orbit. In normal times, this mass requires the use of an unrecovered first floor. It’s a great way to celebrate the fiftieth flight of a Falcon 9. The new version of the Merlin engine on SpaceX’s Falcon 9 rockets exploded in a test. This does not mean that the Falcon 9 will not take off. The Falcon 9 are still equipped with an earlier version of the Merlin engine, the Block 4 version, which is quite functional. But the failure of the Merlin Block 5 engine test is a blow to the future version of the new Falcon 9, and will probably delay its launch. The Falcon 9 Block 5 is a very important rocket for SpaceX. It should be able to benefit from a 7% to 8% higher take-off thrust. New flight control systems will allow the first stage to optimize its descent, which should allow recovering more fuel efficient. The rocket will also benefit from new forged titanium airbrakes, capable of withstanding higher temperatures. They have already been tested successfully on the current version of the Falcon 9. Elon Musk even estimates that they will require no maintenance between flights. In addition, the entire first floor will have a thermal protection coating to limit the damage associated with re-entry into the dense layers of the atmosphere. Similarly, a reusable heat shield will protect in particular the motors and all associated piping. New retractable feet should also facilitate logistics during first-stage recovery operations. All these improvements, particularly in terms of thermal protection, should enable the new version of the Falcon 9 to be reused at least 10 times, with reduced maintenance between flights. It is in any case the hope of SpaceX. The modifications are also made to make the rocket compatible with the standards imposed by the Commercial Crew Development program and the flights serving the US Army. The Block 5 version is the one that will carry the capsule Crew Dragon which is the inhabited version of SpaceX’s capsule. A first demonstration flight of the Crew Dragon capsule without astronauts on board is scheduled for April 2018. The explosion of the Merln engine should not prevent SpaceX from being confident about the future, because since the beginning of the year SpaceX has already made 16 launches, all of which have been successful. Of these launches, 13 were followed by a recovery of the first floor. SpaceX has already doubled its number of launches compared to last year, and the year 2017 is not over yet. 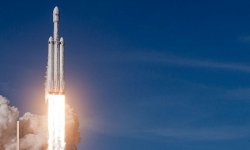 Over the last two months of the year, the company is planning four Falcon 9 launches and perhaps the inaugural launch of the Falcon Heavy. This makes SpaceX a heavyweight in the space industry, which is expected to grow in the coming years. Once SpaceX launches the Falcon 9 Block 5 and Falcon Heavy, the US company should shift much of its research and development to the BFR, since this rocket aims to replace all others. SpaceX is now working on the recovery of the second floor of its rockets. True to its communication habits, Elon Musk spoke on his Twitter account of a system using a party balloon and an inflatable castle. This indicates that SpaceX is studying the possibility of using “ballutes” (contraction of the words balloons and parachutes). The recovery and reuse of the second stages was part of the Falcon 9 launcher’s plans as soon as it was designed. In 2011, the company originally wanted to use a heat shield and SuperDraco engines. But that proved too difficult to implement. The problem of second-floor recovery is that it reaches orbital speeds at the end of flight. Impossible in this case to deploy a conventional parachute. Rocket engines could be used but in the case of an upper stage the fuel reserves are very limited. The use of a “ballute” would greatly increase the drag of the second floor. The aim is therefore to slow it by friction with the atmosphere at subsonic speeds. A conventional parachute would then take over. According to Elon Musk, the second floor would then land on an inflatable structure. The recovery of the second floor of the Falcon 9 rocket would be a new economic benefit for SpaceX. Although the majority of the cost of launchers lies in its first floor, the second floor also has some high value. This is the case, for example, with the unique Merlin engine and its immense nozzle optimized for vacuum. SpaceX successfully fired two Falcon 9s last week. With these two launches in 72 hours, SpaceX is getting closer to its goal of weekly shooting. The company is on its ninth shot of Falcon 9 in 2017 and is targeting 52 shots for 2019, one shot per week. The rockets continue to be slightly modified and improved for each shot : during the last shots of Falcon 9, new titanium fins should greatly limit the maintenance required for this part of the rocket. The rocket used Friday was on its second flight. Reuse is therefore slowly being implemented at SpaceX. Within a year, the company should have more reused rockets than new rockets.